What is technical screener website? How it will help you? A Technical Stock screener is a tool for technical analysis of the stock. This tool is used by most of the stock traders. We have already discussed technical analysis. A Technical analysis is a science of predicting stock price movement based on market trend, past price performance and volume of the stock. 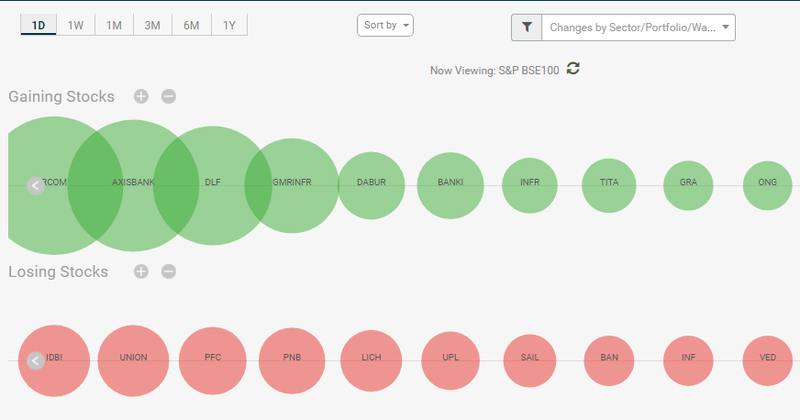 In this post, I will share information about 5 Technical Stock Screener website. Technical stock screeners are of two types. One is live technical stock screener and second is the end of day technical stock screener. Today our focus will be on end of day screener. Topstockresearch is best technical stock screener for the trader. It is free to use, easy to understand. The key features of Topstockresearch are given below. After logging to Topstockresearch Screener website, you need to input company name in the search query and press search button, you will be taken to a page where you can find all parameter including moving average pattern chart. Apart from this, you can get readymade charts for doing an analysis. Trendlyne is second best technical screener available for Indian Traders and investors. Trendlyne provides all market news and stock market indicators. The key features of Trendlyne are given below. After logging to Trendlyne website, enter the name of the stock in the search tab and press a search button. You will be taken to a page where you can find information like technical score, simple moving average, and brokerage target. Bigpaisa is a free website for trader and investors of India. Bigpaisa is one of the best websites for chart analysis. The key features of Bigpaisa are given below. Bigpaisa screener facility is free to use. A Screener with a fixed parameter with limited option of customization. There are few predefined scans on this website which are most commonly used by traders and investors, you can use these scans. If you want to create your own scan go to Custom Screener page, select parameters and press Scan. You can also save your filter by pressing Save Filter button. Techpaisa is paid technical stock screener. 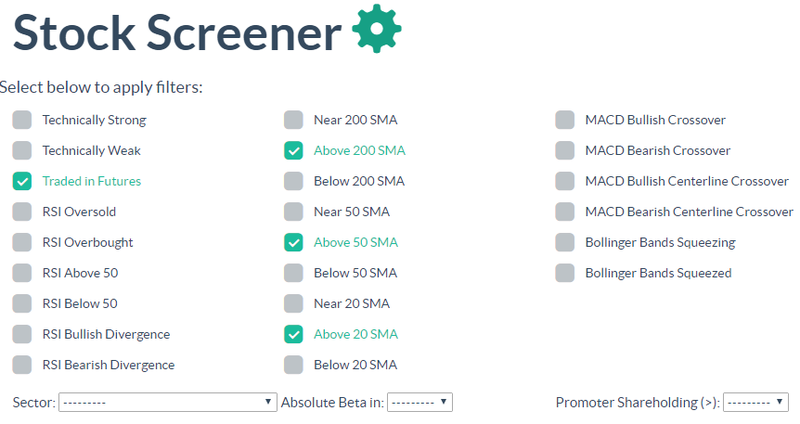 Some features of this screener are free. The key features of this website are given below. On this website, you will find screener tab with various filters such as above 200 SMA, RSI Oversold, traded in Futures, Sort by volume etc. After selecting filter option you need to click on submit button to get details of stock. Traders Cockpit is a proficient stock market screener tool which mines data and provides fruitful result that helps a trader in making informed trading decisions. Some unique features of traderscockpit are given below. You need to enter a stock name in the search tab and select quote and analysis or F & O analysis tab and press search button. Chart, calculator, and other tools will be displayed on the screen. You need to register on the website in order to access chart and other related features. I hope above technical stock screeners tools will help you in deciding appropriate trading strategy and stock for the section. It will also save your time in doing technical analysis.